Morrill Electric is here to provide both residential and commercial network cabling and telephone cabling installation services. Although these days most individuals prefer mobile devices over landlines, there are still instances where you might need a telephone jack installed. For those who have poor cell signals in their home or office, landlines can make communication easier and more efficient. Having more than one telephone jack installed in a home means you can benefit from having more than one phone. Installing a phone jack and network cabling isn’t exactly a walk in the park. Our electricians do not recommend taking on this as a DIY project due to the complexity of the task and large margin of error — not to mention the possible risk of permanently damaging your drywall. Morrill Electric’s trained professionals have the right tools for this delicate installation procedure. Using a fish tape tool, a stud finder and a drywall saw, our experts will analyze your home’s walls to determine where exactly your new cable or phone jack should be placed. Not sure if your existing phone jacks and wires still work? Many of our past customers reside in older homes that have not been updated recently but still have existing phone jacks and wires. Over time, these can rust or become damaged and only a trained electrician will be able to determine if they still work. 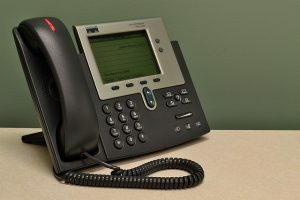 Morrill Electric will determine if there is still a working signal between both the phone jack and the wire and consult with you regarding whether or not it should be replaced. Call Morrill Electric at (978) 388-1522 or contact us online for a free estimate for telephone & cable jack installation. We proudly provide electrical services in Salisbury, Newburyport, Merrimac, and other areas in Amesbury Region.